Since I have a post about my Dad, I thought I would give my Mother equal time. 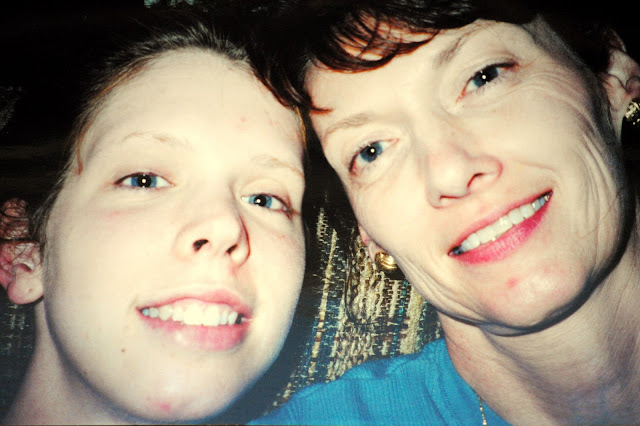 She is after all, not just my Mother, but was my best friend, and is keeper of my secrets. 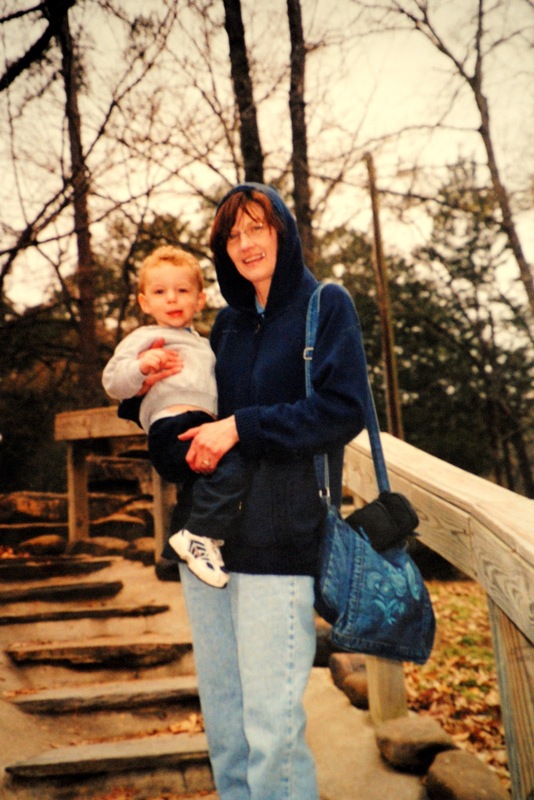 This is one of the last pictures taken of my Mother with Luke. It is framed in our house today and I often times find Luke looking at it with a big smile on his face. If my Mother was alive today, I think she would read my blog. And like it. • I have her middle name, Lynn. • She taught first grade for over 20 years in a low income neighborhood and loved it. She never considered going to another school. • She loved that I refer to her as “Mother”. Joshua however thinks that it is too formal and sounds stuck up. So, when she would send us a card, it would be signed – Love, Mother and Mom. • She convinced me not to drop out of college. • Postponed a thumb surgery one summer so that she could keep Luke. • Obtained both her Bachelor’s degree and Master’s degree after I was born. • Was a figure skater. • Was the most Godly woman I have ever known. • Would tell my cousin and me, “I'm not asleep. I'm just resting my eyes.” We both knew she was really asleep. I am not sure why we always felt the need to bother her. • She could stand on her head. No kidding. I last saw her do this when she was showing Luke when he was two, she was 57. I told her I felt certain none of Luke’s little friends had grandmothers who could stand on their head. • She could quote Rainman. Disappointed? Why should I be disappointed? I got rose bushes didn’t I? I got a used car, didn’t I? • While keeping Luke one summer, she decided it was just too hot for her and Luke to be outside. So, she filled a blow-up swimming pool with water and put it in the middle of the living room so that Luke could swim. My jaw hit the floor when I went to pick him up and saw this. I can assure you that neither my brother nor I were ever allowed to swim in the middle of the living room floor, or anywhere else in the house! • Once said, “I am so glad you are marrying Josh. He is nothing like you and will keep you levelheaded.” She apparently missed the memo that she is my mom and should be on my side. • A pair of her glasses sits on a table in my house. The picture below is on my fridge. It is by far NOT a good photo of us. Clearly, both of us have some serious pimple action going on. But, what I love is that neither of us seems to care what we look like. We are just happy to be sitting there next to each other. No words can describe my love for my Mother.